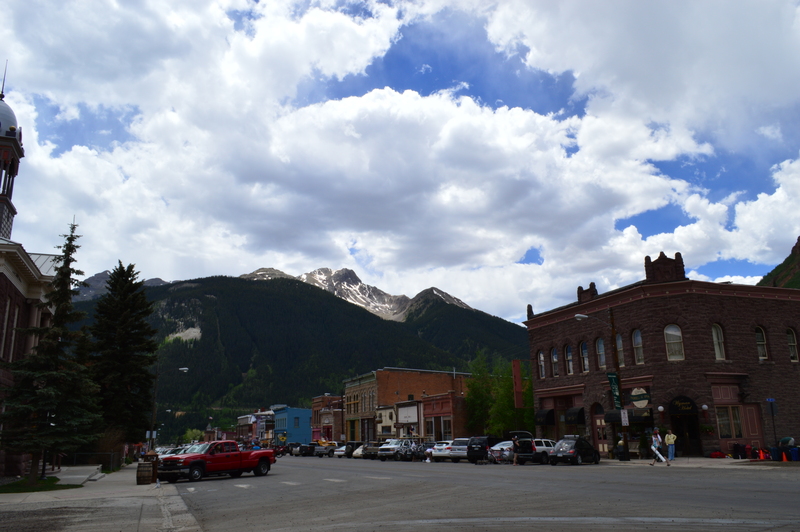 We are wrapping up our 6-night stay in Durango and I am having a hard time preparing to leave! We have really fallen in love with this cute little town and have thoroughly enjoyed our stay here. 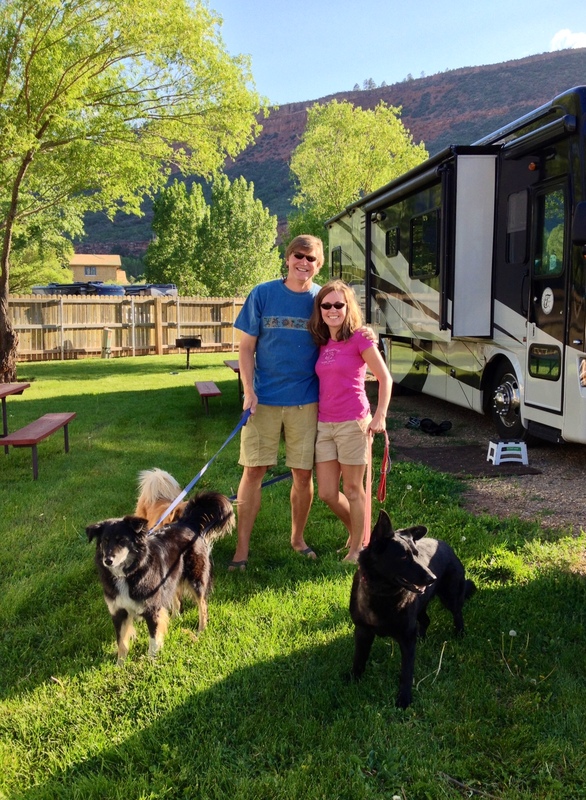 We had our first RV-guest this week! Our friend Shelly Swanger is driving across country and I convinced her to come stay a night with us on her way. Shelly is a friend of ours from Florida and in addition to being a great friend, she is a very talented photographer. She casually snapped this picture of us with her iPhone, and I love it so much I’m using it for the blog. Shelly arrived Monday afternoon and we had a great dinner with her that night at Durango Brewing Company. After dinner we called it an early night, and headed back to the RV where Deas and I attempted to set up the fold-out sofa bed for the very first time. In hindsight we probably should have tried setting up the bed before we had a very tired friend waiting to use it. We discovered that one of the mechanisms inside the couch is broken, but Deas was able to figure it out and get it set up. Shelly headed out the next morning to take some photos and we met her in Durango for lunch. We tried and tried to convince her to stay one more night, but the open road was calling so she headed on her way. 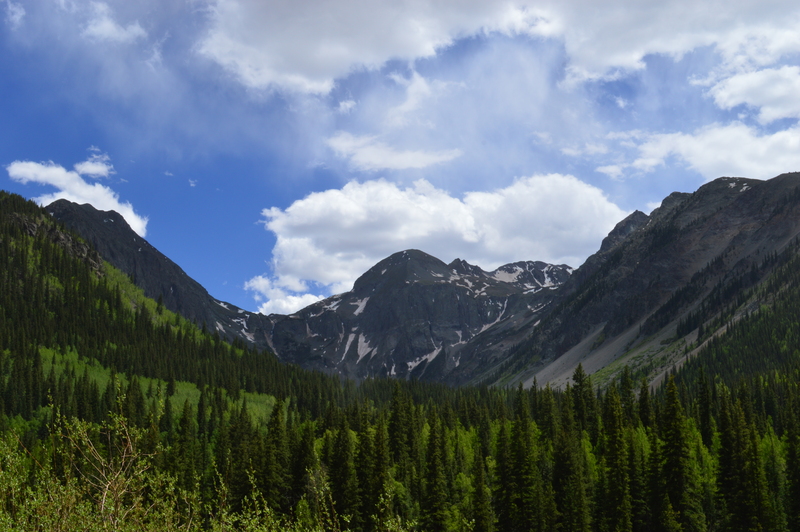 Earlier this week we took a day trip to Silverton, which is a couple hour drive up and over a mountain. 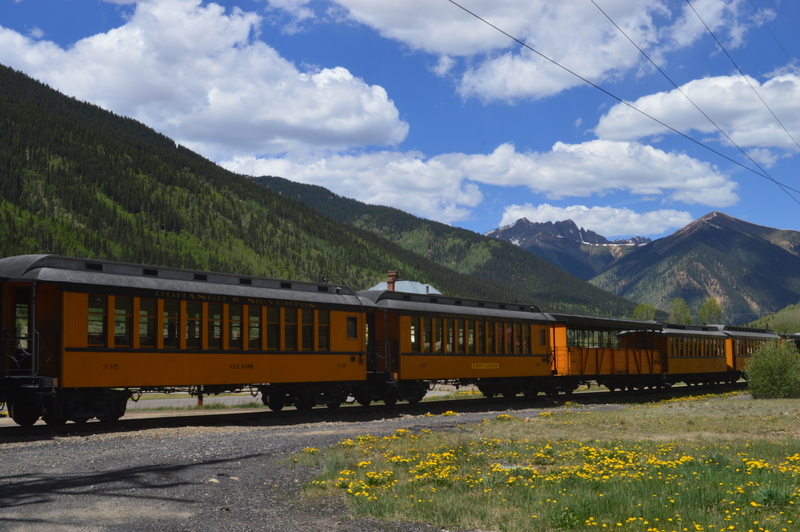 There is a steam engine train that runs from Durango to Silverton, but it’s a 4 hour trip each way so we just decided to take the rental car and drive ourselves. 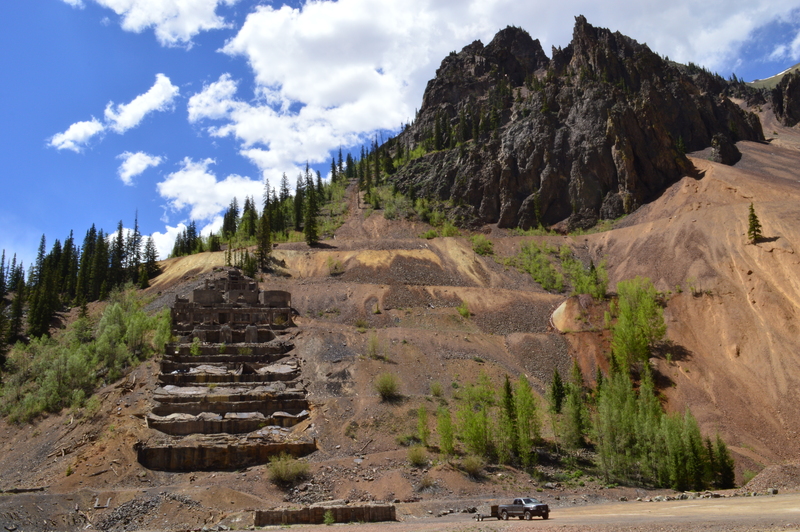 We liked Silverton so much we’ve decided to take the RV there next and stay for a few days. 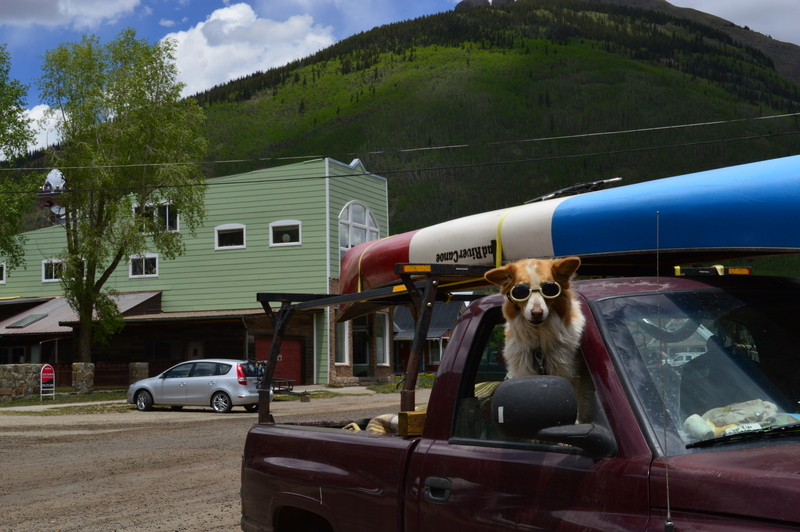 I had another Louisiana run-in on the streets of Silverton. This man had lived in Louisiana for a few years and had adopted a Katrina survivor dog. His dog was sporting a pair of Doggles and was so cute I had to get a pic. We took a couple hour side trip down a gravel road, which was a little challenging in a rental car, but we were well rewarded with some interesting sights. 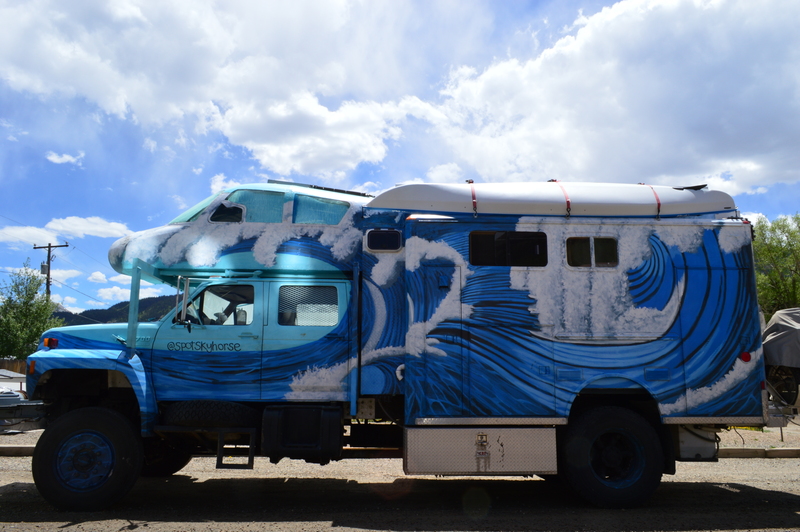 We also saw this very interesting RV! Nikki is recovering well from her dog bite a couple of weeks ago, but poor Shorty is having a hard time with some worn paw pads. I did a little googling and we’re treating him with a regiment of betadine, neosporin, and covered paws. Which means baby socks for Shorty. 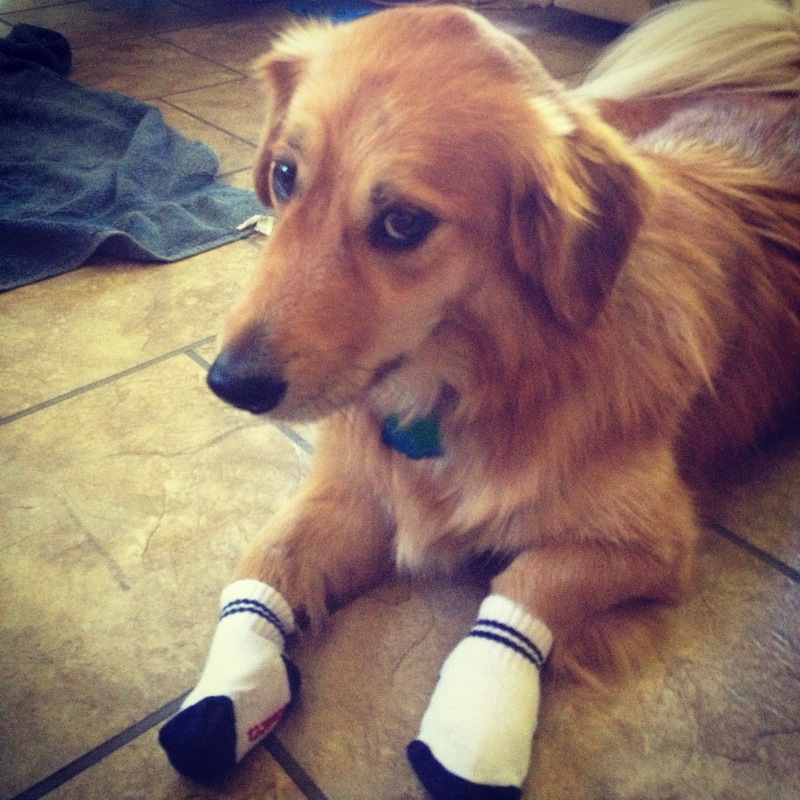 He didn’t like it at first, but how cute does he like in socks? Love the Skyhorse! Shorty looks a little woebegone with his poor hurt tootsies, but I bet he’ll be better in no time now. 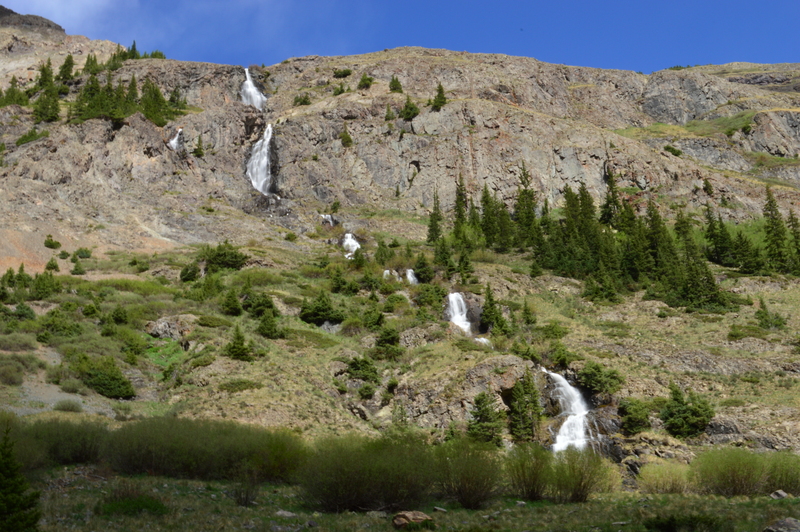 Have a safe travel day and hopefully we’ll meet up with you again in Ouray.